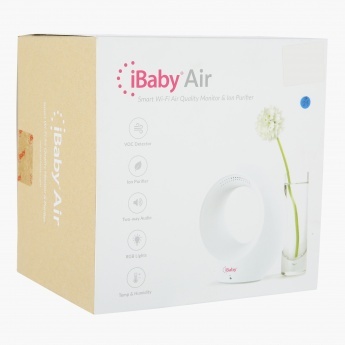 iBaby Air Quality Monitor and Purifier | White | Add unlimited users to access iBaby Air. Pick millions of colors for the light. Choose night light for automatic light switch. Save AED 320 (40.05%) – Earn 46 Shukrans What is Shukran? Shukran is the Landmark Group’s award-winning loyalty programme in the Middle East, which allows you to earn Shukrans when you shop any of our brands. Detect and remove allergens and harmful toxins from the air and keep your baby healthy as you get this appealing air quality monitor and purifier. This device features a VOC detector and comes with a two way audio record making it a great pick. Feature 2 : See all iBaby Air data around the world. Interact with others, comment, share, & like. Connect to iTunes or add your own music. 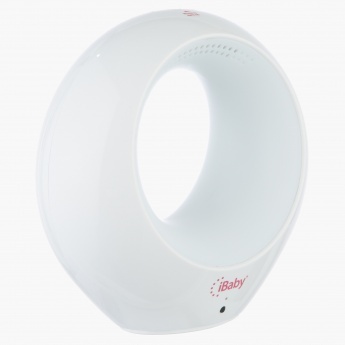 Feature 1 : Add unlimited users to access iBaby Air. Pick millions of colors for the light. Choose night light for automatic light switch. Feature 3 : Record your own voice & reply for your baby. Talk & listen to your baby at any time. Get VOC, temp, humidity, & sound alerts.